I absolutely despise MTV. The fact they show a bunch of crappy reality shows instead of music videos, which is what it was namer for, has me bewildered. However, there is one show that I do watch and feel is really good. “The Buried Life” is a show that follows a group of four friends and chronicles their attempt to complete a list of 100 things they would like to do before they die. It’s a very entertaining show that gets you thinking: “What do you want to do before you die?” Though my list doesn’t include streaking at a game or attempting to get Taylor Swift to go on a date with me, I have come up with 10 things I definitely want to do in my lifetime. 1. Catch a game home run at an MLB game. If you know me, you would know that I love going to Pirate games early to try and get baseballs during batting practice. I’ve gotten many home runs during BP, and even a few foul balls during games. However, a home run hit during a game has always eluded me. The chances of getting one are very low, however with the attendance at Pirate games being low for the foreseeable future, I think eventually my time will come. 2. Sit courtside between the benches and the scorers table at an NBA game. I’m not a big fan of the NBA, and being from Pittsburgh probably has a lot to do with that. However, one thing that I always felt would be cool to do would be sitting in the courtside seats directly next to the benches. Many teams started doing this in the past few seasons and the experience would be incredible. Sitting just a few seats down from a great coach such as Phil Jackson or Doc Rivers and having players walk inches in front of you as they check in would be awesome. Things that stand the test of time are awesome. A prime example of this is the Kentucky Derby. 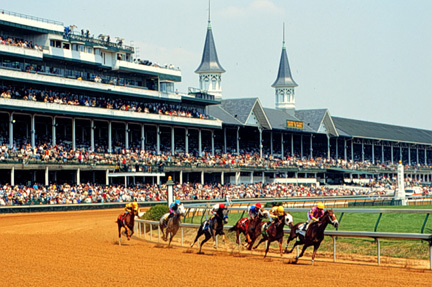 It seems that every year during the first Saturday in May, Churchill Downs is in the 1900s while the rest of the country is in modern times. I would love nothing more than to dress in a suit and sing “My Old Kentucky Home” from the main grandstand with a mint julip in my hand. Unfortunately, I have no connections to old money in the South, so a cheap ticket in the infield will most likely have to do. I would be totally content with that. I’m no fan of racing, but the Indianapolis 500 is just another one of those All-American events that has too much tradition to pass up. Hearing “(Back Home Again In) Indiana” with the cars lined up ready to go and over 100,000 people screaming gives me chills watching it on TV. I can’t imagine it live. 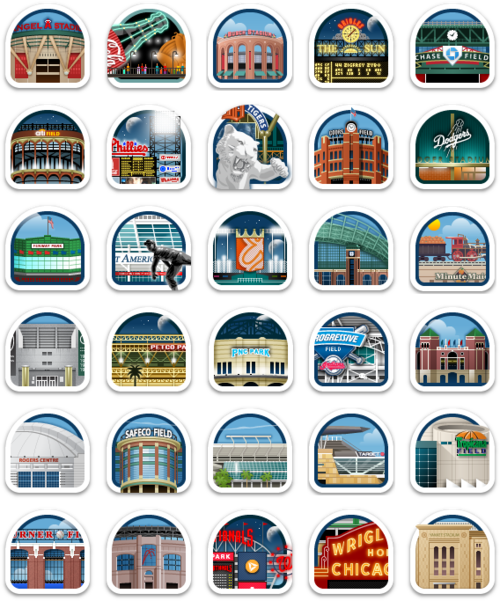 Compared with football stadiums and basketball/hockey arenas, ballparks are much more unique. They all have their own personalities and quirks that make the idea of seeing a game at each one in the league a very fun thing to do. I’ve already seen games at 7 of the 30 (however one is the Old Yankee Stadium and the other is the soon to be demolished LandShark Stadium), but I’ve got a lot of work to do to see this goal happen. One of the things that got me hooked on journalism was hearing sportswriters talk about all of the great things they’ve gotten to cover in their time. Being the first to talk to athletes shortly after accomplishing something they have desired for so long, or after coming so close to doing but coming up short in the end is one of the reasons sportswriting is so great. Having a front row seat and inside access to an event like the World Series or Super Bowl is why I’m working so hard to make it in the field. Though college basketball thrives in cramped, intimate venues, there is no stage like the Final Four. 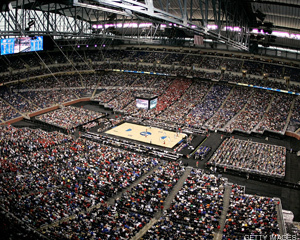 With the court situated in the middle of a football stadium, over 80,000 fans are in attendance to see who can win the national championship. I can’t think of what it would be like to watch a game that kind of setting. The most popular sport in the world’s biggest tournament held once every four years is truly a grand event. With billions of fans wolrldwide, everyone (except Americans of course) hold on to the hope that their country will reign supreme in the soccer world. From the chants to the vuvuzelas, World Cup games are one of a kind. A lot of my friends at Ohio University always tell me that I’m spoiled to be from Pittsburgh. I’ve seen the Steelers win two Super Bowls and I’ve seen the Penguins raise the Stanley Cup. There is one championship that has eluded the city of Pittsburgh since 1979, the World Series. Hearing my dads stories about the teams that captured the title in 1971 and 1979 has me longing to be able to see the same. Unfortunately, the rut the Pirates have been in the past two decades has many doubting that it will ever happen again. Forget the World Series, I just want an 82-80 season. Not many sports fans would be rejoicing after their favorite football team finishes 9-7, or a basketball team going 42-40. Yet in the case of the Pittsburgh Pirates, it has been 18 seasons, or roughly my lifetime, since the team was able to win more games than lose in a season, let alone make the playoffs. This is a record for sports teams in North America. If they were to just show once in my life that they are a competitive baseball team, I could probably die a happy man. So there is my list. What have you always wanted to do in the world of sports?